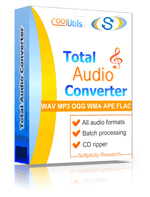 Convert SPX to OGG audio files online and for free! Use the SPX to OGG Online Converter or take our batch Tool for more! Description SPX (Speex) is an open-source CELP-based speech codec format intended for compressing speech at bitrates between 2 and 44 kbps. The .SPX extension has a number of advanced features, which ensure noise- and echo reduction, stereo encoding, integration of several sample rates within a particular bitstream, etc. Although SPX is patent-free, it is not widely supported by popular audio players. For this reason, most users prefer to convert SPX files to WAV or MP3.